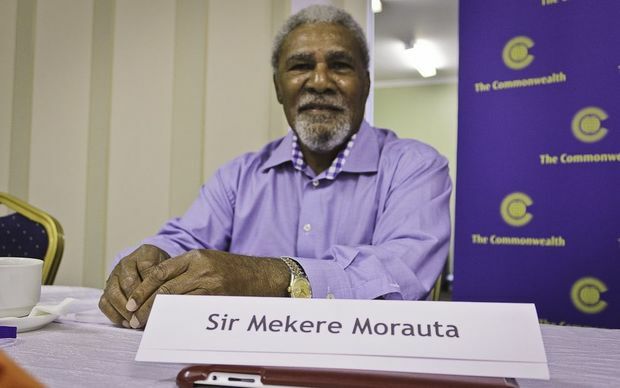 Former prime minister Sir Mekere Morauta is going out of retirement a seat in the National Capital District in the 2017 National Election. “I am enjoying spending time with family and friends, boating, fishing, reading, travelling, maintaining a continuing oversight of PNGSDP and contributing to society in other ways. He said in a statement today that he was prepared to contest one of the NCD seats provided that by the time for nomination he believed there was sufficient support from all quarters, especially current MPs and intending candidates, for a new Government. “I would stand to help lead a movement for change and reform.” He said the concerns people had included what he calls the growing web of corruption, public debt levels and the poor management of government finances, the grim job prospects for school leavers and the value of the kina declining as prices increase. In a statement, Sir Mekere said people saw no sign of the root problems being addressed by the government and they were afraid if action was not taken.